Home » Uncategorized » How do I get a FREE repair with approved insurance? In Texas if you have comprehensive insurance coverage most major carriers waive the deductible. 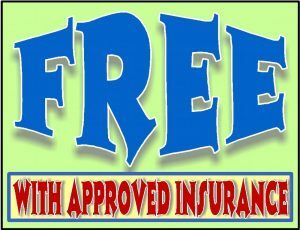 At McAllen Windshield Repair we know our customers know nothing in life is free. However, your insurance will pay for it and it will be no cost to you. We do direct billing. Even if you have a high deductible. Also it should not increase your rate. Ask your carrier. It’s TRUE!